Blue’s latest microphone, Ember, is a premium entry level, cardioid XLR condenser microphone available at an affordable price of under $100. That should make it appealing for those that are looking to get into becoming serious content creators. 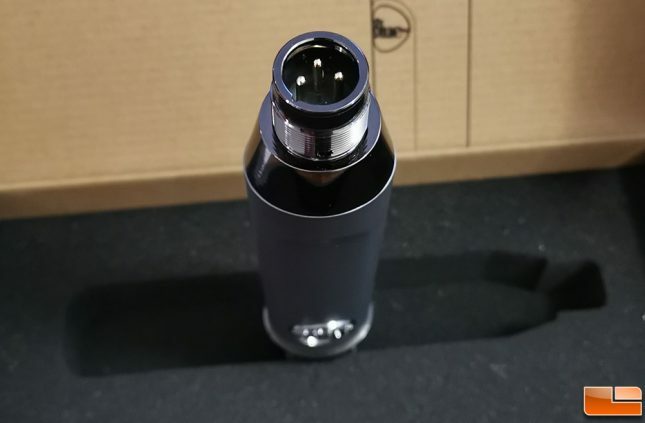 It uses a professional style XLR connector and not a USB style connection. This means that you’ll have to supply your own XLR microphone cable, 48V phantom power input and an audio interface to be used with a Mac or PC. Most mixers and audio interfaces offer a 48v power input. However, you can buy a stand-alone mic preamp if you choose to do so. While doing this review I used a Neewer NW-100 mic preamp. I connected the preamp to my PC using an XLR to 3.5mm cable. The Blue Ember XLR condenser microphone retails for $99.99 shipped. It offers great crisp vocals at really good price. 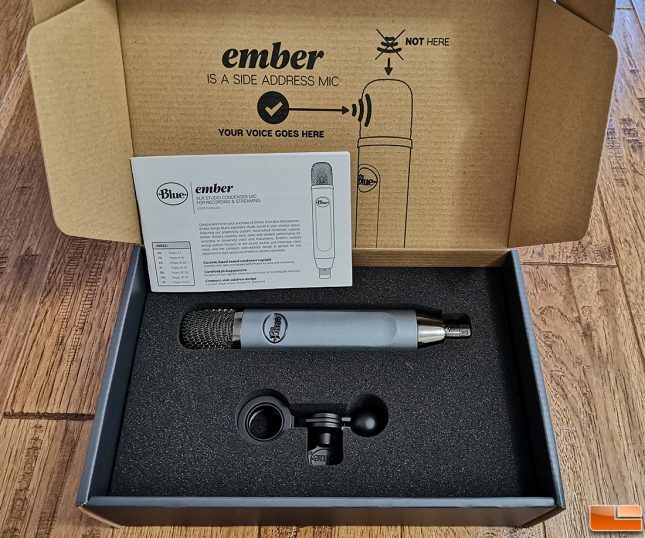 Because the Ember uses an XLR connection you’re going to be better lows and high frequencies. No matter what type of voice you have or instrument you’re using, it going to sound fantastic on this microphone. If you’re looking to get away from USB microphones than this mic is excellent value and it would be hard to beat for the price point. Included in the box which I found to be nicely packed which help keep the microphone safe from any shipping damages was of course the Blue Ember XLR Microphone, stand mount and stand adapter and the user manual. I do wish that a shock mount was included with the microphone but that would increase the overall price. According to Blue’s website, the S2 Shock mount is not compatible with the Blue Ember. 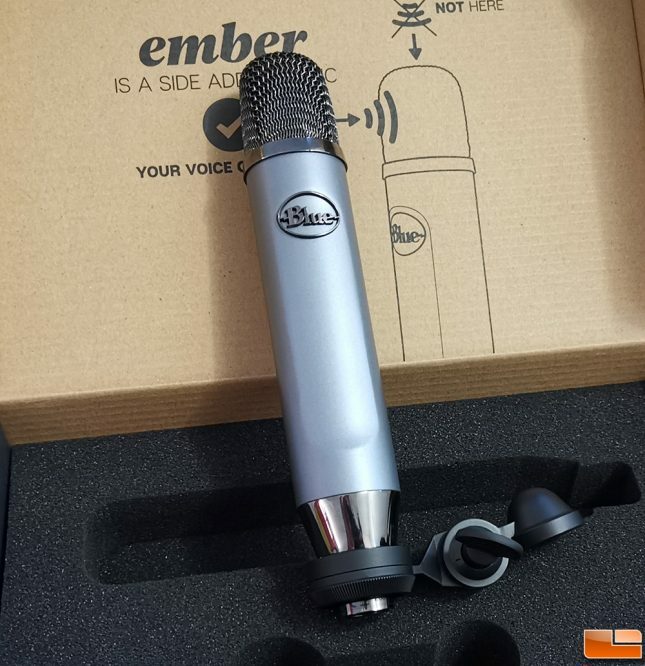 However, even though it is not listed as being so, I do believe the S3 Shock is compatible with the Ember microphone of which retails for $99.99 (CAD 134.45). Sticking with their modern sleek designs, the Blue Ember has a narrow tube-like design that allows it to feel like it’s not so in your face. That means it doesn’t take up a lot of space and allowing users that use a camera in their content to see more of their facial movements and expressions rather than a massive XLR microphone. The Ember does lack the option of a traditional slip-over pop filter as is quite a narrow microphone, but Blue has put in a lot of effort in designing the grille on the Ember to act similar to a pop filter but not as well as a pop filter. I would recommend getting a pop filter that attaches to your stand that will allow you to talk as you normally would without having to train your vocals to avoid any plosives into the mic. My previous microphone was the Neewer NW-700 Professional Studio Broadcasting & Recording Condenser Microphone ($28.99 shipped) was by no means a high-end XLR condenser mic model. I thought it sounded good until I heard myself on the Blue Ember. I’m told that I have a deep voice and it causes many microphones to suffer from distortion. I was very surprised how well the Ember was able to pick up the low frequencies of my voice with very little distortion. I’ve had issues with many different types of microphones and the Ember really impressed me. You can hear the difference for yourself by listening to the two audio clips below. I didn’t use a mixer or interface. The clips are strictly just the microphone connected the pre-amp and then connected to the PC. Also keep in mind that the audio clips below are the recordings with the microphone set to zero mic boost so that the microphone is presented in its default form. 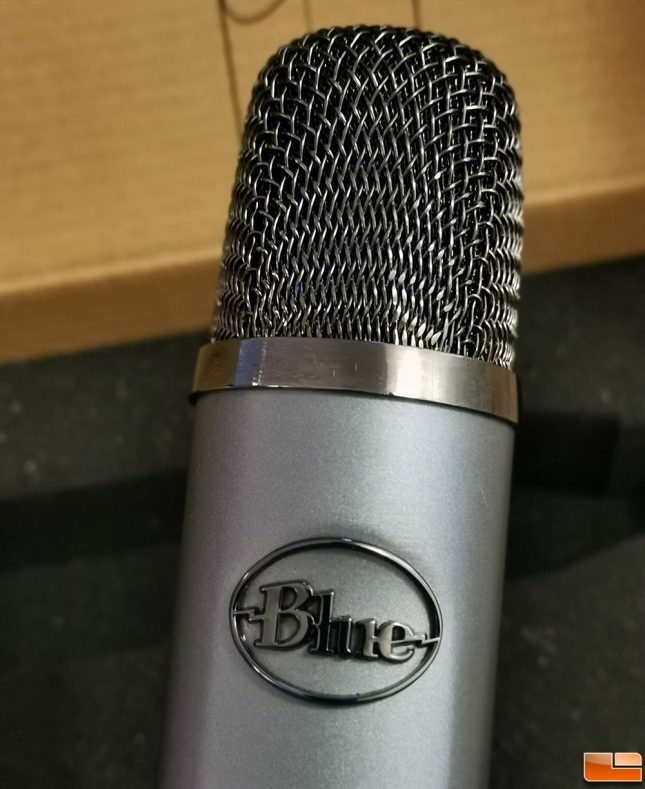 The Blue Ember is a most definitely contender for “Best Bang per Buck” when talking strictly about the microphone. However, the ember does require some accessories in order to get the most out of it. You’ll need a device that has a 48v phantom power input, a microphone stand, a pop filter that attaches to your stand (some stands include a pop filter that attaches to the stand) and XLR cables as they’re not included with the purchase of the microphone. 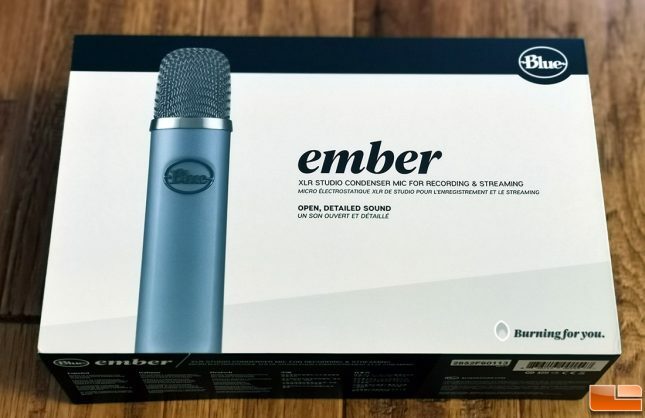 Aside from the lack of accessories included with the microphone, at the $99.99 asking price, the Blue Ember is an Amazing condenser microphone for those looking to sound more professional without having to spend a lot of money on high-end XLR microphone setup.